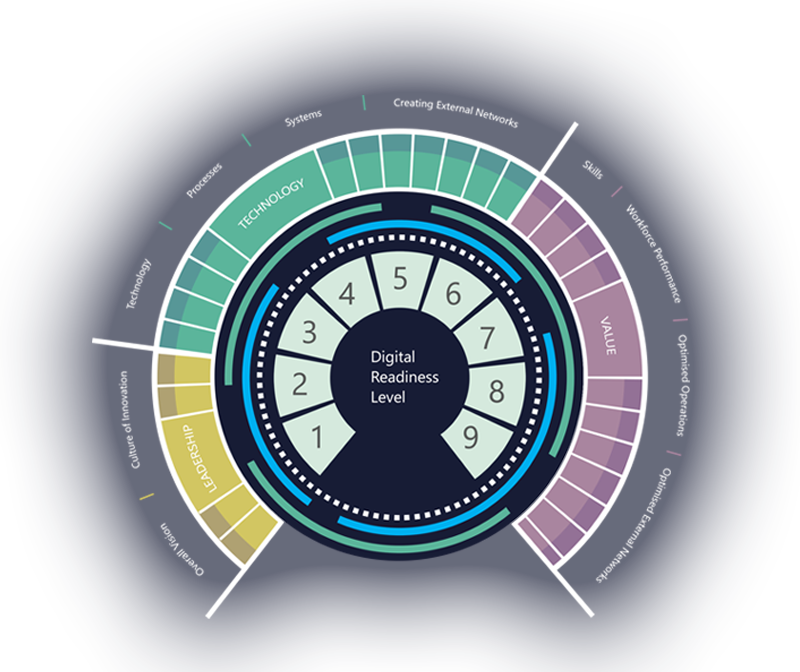 The Digital Readiness Level (DRL) Tool was ideated with a clear objective in mind: to create a standardised tool which will help companies to measure and therefore improve their digital maturity. The tool is designed to work in a similar way as the now well stablished models for Technology Readiness Level (TRL) and Manufacturing Readiness Level (MRL): they have an open standard approach to allow and promote direct comparison and benchmarking with other companies of your size, sector and region. The DRL Tool is designed to provide a company with an opportunity to take a detailed look at where they are in respect to the digital journey and to assess and prioritise their future actions to identify and reach an appropriate position. The tool touches on 3 different pillars and 10 different competencies, with the aim of providing a deep understanding of the current digital status on each of them. To assist companies in their journey to digitalisation, allowing them to understand their current position and the necessary steps they will need to take in order to get the most out of the opportunities that a digital industry will offer in the forthcoming years. The vision of “DRL-Tool.org” is to become a national standard and the go-to platform for companies looking to assess their digital readiness and make strategic decisions based on the obtained DRL. An introductory free-to-use online assessment to be completed in no more than 5-10 minutes and which will give the participant a high-level overview of where the company stands in terms of digital, so as to identify initial areas of weakness and strength. The full DRL questionnaire includes 90+ questions spread across the aforementioned pillars and competencies. An exercise that will take around 1 hour to complete and which will provide a complete analysis of digital readiness of your company. Upon completion, the participant will be able to benchmark the obtained results against industry averages and region averages in a fully anonymous way. Free to use for registered users. The last stage of the process involves face to face workshops with DRL accredited consultants which will assist you in taking the necessary steps in one (or more) particular competencies in order to become more digital-ready and take advantage of the benefits that your business could gain. The “Coffee Break” and Full questionnaires are hosted online and are totally free of charge. Stage 3 workshops are run by certified companies and are subject to a fee. HSSMI is an independent organisation that provides consultancy within the manufacturing sector, supported by focused R&D services. HSSMI specialises in the application of digital techniques within manufacturing. By providing innovative solutions and introducing new technology, HSSMI has steadily increased efficiency and productivity throughout the UK supply chain, encouraging excellence and longevity of the UK manufacturing sector. The Digital Engineering and Test Centre (DETC) is a unique joint industry-academic centre of excellence within the Loughborough University London Campus. We develop and use virtual engineering tools and techniques to accelerate the development, test and manufacture of automotive propulsion systems. As an Advanced Propulsion Centre (APC) spoke, DETC also brings specific functional, technological and regional capabilities to the APC network helping to deliver the reality of a Propulsion Nation. The Knowledge Transfer Network (KTN) helps businesses get the best out of creativity, ideas and the latest discoveries, to strengthen the UK economy and improve people’s lives. KTN links new ideas and opportunities with expertise, markets and finance through their network of businesses, universities, funders and investors. From manufacturing to autonomous systems and from energy to design, KTN combines in-depth knowledge in all sectors with the ability to cross boundaries. EDGE Digital Manufacturing is the advisory services partner of The Manufacturer organisation. We are experts in the business of supplying and making things, and in post-sale through-life services. We work closely with an extensive network of trusted partners with specialist expertise in the diverse range of digital technologies relevant to these areas. 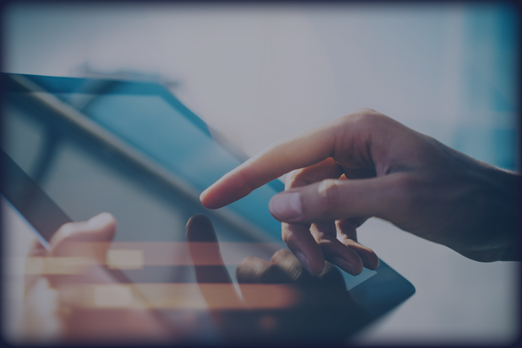 We ensure that any business with the propensity to grow by leveraging digital technologies has an inspiring vision, alignment across all aspects of the business and a robust business case to maximise its return on investment. Valuechain enables manufacturing companies to compete as world class supply chains. We provide smart manufacturing software that helps organisations to improve productivity, streamline collaboration and generate intelligence. Digital Catapult is a technology innovation Centre that unlocks digital growth in the UK economy. It works with companies of all sizes to transform their businesses by accelerating the practical application of digital innovation. Digital Catapult bridges the gap between research and industry, finding the right technologies to solve problems, increase productivity and open up new markets faster. The High Value Manufacturing Catapult (HVMC) is the catalyst for the growth and success of UK advanced manufacturing. The 7 centres offer access to world-class equipment, expertise and collaborative opportunities. They work with manufacturing businesses of all sizes and from all sectors. The High Value Manufacturing Catapults help turn ideas into commercial applications by addressing the gap between technology concept and commercialisation.